Home Insurance Life insurance So Your Little Bundle of Joy Has Arrived! Now What? So Your Little Bundle of Joy Has Arrived! Now What? Being a parent for the first time is a unique and indescribable event, something that happens to so many people every day, but is still magical to each and every one of them. There’s a reason it’s called the miracle of birth after all, because bringing a life into this world, your blood, your heir, your child brings about this overwhelming feeling of happiness, pride and even gratitude to your better half, it’s what turns a couple into a family, and a house into a home. What we sometimes neglect in this situation though is that it’s also the biggest responsibility that any single individual or couple can undertake throughout their lives. The promise to care for, nurture, mold and shape that cute little baby into someone you can be proud of is both life’s greatest joy and the most difficult task to undertake. From the minute that child is born, all life’s energies and attention is devoted to him or her, and it is a path that’s fraught with ups and downs. It’s something that we must prepare for right from the word go, so that we have a fail-safe back up in place for all those bumps in the road ahead. One of the biggest considerations for parents to make is in terms of finances. How will you make sure you can provide for your baby’s upbringing, education, health and life in general until he or she can stand up on her/his own two feet? It’s something all parents need to think through carefully. This is also where the consideration in terms of insurance comes in. 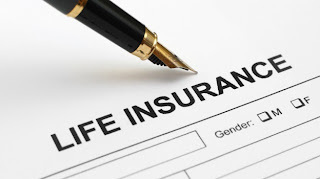 Insurance exists to provide for those who are dependent in case something happens to the person they depend on. Which doesn’t just mean in terms of financial clout, a stay at home mom brings something to the table even if it isn’t a steady income. So ideally, both parents should have an insurance policy to their names, even if only one of them brings in the income. Security for your spouse and your children. The most obvious reason is financial security. You can rest easy knowing that if something terrible happens to one of the parents, the other parent and the child will have financial stability in their lives for a decent amount of time, which means they can figure out their future without worrying about finances for a relatively long period. Potential nest-egg. If you invest in a term policy, say for 20 years, then the policy will mature and give you a large chunk of payout money right around the time your child is going to college. Even if you don’t use the money for the college tuition, it can be held on to as retirement money, or become a part of your child’s inheritance, so that he or she can begin their lives as adults from a solid financial platform. Sooner rather than later. Since most couples have their first child in their 20s, they’re still young and fit, meaning insurance premiums will be lower, making it the perfect time to invest in a policy. You’ll end up buying a policy in the future, anyways because in today’s world it’s pretty much inevitable, so why wait till the policy gets more expensive when you can strike the iron while its hot and add some order and stability to your lives? It is advisable to not even wait till pregnancy, because getting a policy is more difficult for pregnant women, especially if there are complications during birth, in severe cases, insurance companies have even refused to provide a policy. Also prices go up during pregnancy, and stay that way for a certain period after pregnancy till the mother’s health stabilizes and there are no ill effects from the pregnancy. Act swiftly and decisively to improve your and your child’s future, and activate the safety net that is life insurance, after all you aren’t just thinking for yourself any longer. So don’t wait too long, do what’s right by your child and invest in a life insurance policy so that you and your family have a lifetime of rainbows and sunshine.